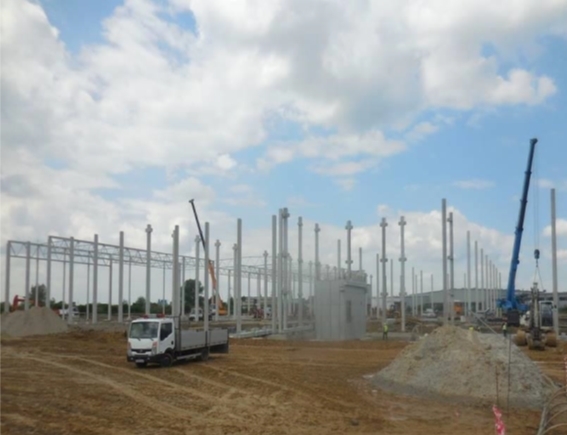 BatiPlus engineers started working on the construction of a new logistics center located in Niepołomice for the Group Eurocash. BatiPlus specialists control the quality of documentation and works on site so that the standard of the building meets the Group Eurocash requirements. The Group Eurocash is the largest Polish wholesaler of food products, chemicals, alcoholic beverages and tobacco (FMCG). Through a number of distribution formats, it focuses on the wholesale distribution of FMCG products to traditional shops and retail stores in Poland. The franchise and partner networks operated by Eurocash gather approximately 13,000 independent retail stores.